Artesunate is in the class of medications known as artemesinins, which are derivatives from the "quinghaosu" or sweet wormwood plant. Copyright © Robert W. Freckmann Herbarium, University of Wisconsin-Stevens Point. Emmet J. Judziewicz, photographer. 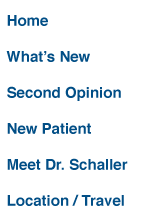 www.cdc.gov, accessed September, 2013. Almost ten years ago, a good number of articles were stating that the herb Artemisinin was not killing malaria. Now it is increasingly the standard of care not to use Artemisinin in formulations to kill malaria. This has serious implications for Babesia treatment, to which area of medicine we have dedicated full-time study and are treating people who are the treatment failures of other healers. Not looking fully for the presence of the many species and strains of Babesia that infect humans when there is suspicion of a tick bite is gambling with death. Babesia is a killer. As Dr. Krause correctly says, Babesia is more dangerous than Lyme. Why? It kills more people. One would think the sober professional reader of this comment would change his habits, and look more thoroughly for Babesia infections by direct and indirect methods. I am sorry, but I know of no one in alternative or traditional medicine that understands the basic indirect ways to detect Babesia, and few test routinely when Lyme is suspected. Why groups like ILADS (International Lyme and Associated Diseases Society) get abused when they are only listening to Dr. Krause's IDSA (The Infectious Diseases Society of America) appeal, by treating IDSA failures seems very confusing. One amazing error is that when people read about the plant Artemisia they confuse the compound Artemisinin with the class of Artemisia derivatives referred to as "artemisinins." About five years ago, the United States approved the use of a superior option—Artesunate, an Artemisia derivative—that we had promoted as an augmenting treatment in about 2004 as an IV option for malaria. If Walter Reed was going to use it IV they were not playing games, and understood this was a great option for very dangerous malaria infections. 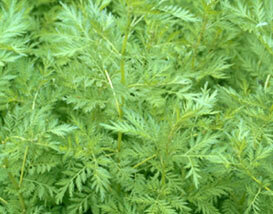 Artemisia annua Photographed by User:Jorge Ferreira (own work), 2008, [cc0-by-1.0 https://creativecommons.org/ publicdomain/zero/ 1.0/deed.en], via Wikimedia Commons, accessed September, 2013. The word game here is one reason a few are confused. Artesunate, which is very superior to Artemisinin, and Artemisinin are both listed under the class of compounds known as "artemisinins." They are both derived from the same plant but have neither identical chemical structures nor the same clinical effect. My father, a top expert cutting edge OB/GYN physician, taught me that one should "do it right or do not bother." Unfortunately, that is not the approach of many doctors self-healing their family poorly, healers who are legally able to use herbs only, or physicians who want to offer herbal options. Some errors that are common are the use of recipe books in which herbs are mentioned as if they are no different than food or water. As with other healing options—they should be dosed. The cookbook approach is neither the best approach for a highly unique individual, nor the best approach in 2013. 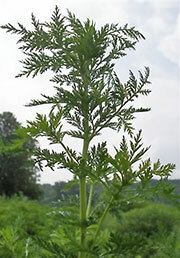 Currently, some infection MD/DO experts and trained herbal healers use Artemisinin to treat Babesia. They seem to have no awareness that Babesia is harder to kill than malaria, and that academic and clinical experts have aggressively rejected Artemisinin in the killing of weaker malaria infections for many years—this is not remotely new; we were publishing this almost a decade ago. The MD/DO infection healers may be experts at HIV, Hepatitis, TB, and many other common and deadly infections, but merely being an expert on flying a fighter jet plane does not mean you can safely fly a helicopter. An alarming myth that seems to be ignored is that diverse types of infectious disease physicians are eager to present themselves as experts on the emerging diversity of infectious agents—single celled parasites, bacteria and viruses—carried by the Ixodes scapularis tick. Even surgeons, who seem in some states to be overly represented on boards and who can be known for excess "certainty", rarely dare to speak outside of the types of surgery they have mastered. The use of mere Artemisinin, i.e. the basic extract from the fern Artemisia annua, for Babesia treatment in ignorance of its uselessness leads to disability and death. Since I only consult or treat tick and flea infection experts' failures, I often see it—far too late. One downside of reading full time and doing more reading in a week than you did in medical school is that you get sent tough cases. Let me say it again—seeking to be good at treating only Lyme is inept, 1990s medicine—so please step aside. The belief that 25 years of infection is gone in weeks with a single treatment of a mono-infection is about as rational as the belief in magic. By ignoring other infections, you have already allowed so much damage it pains us to list it. If you do not know what a set of untreated tick and flea infections can do to a patient in 25 years, why are you involved in this type of medicine? Please go see the dinosaur exhibit and get out of the way. I do not tell the heart valve surgeon who has mastered his complex surgery by doing it 2000 times to get out of the way in the surgical suite; tick and flea infection medicine is at least as complex as a surgery. Traditional and integrative people are literally looking up an article or a guidebook on how to treat Babesia. My point? You may be very smart and talented, but if you do not know the treatments for Babesia in your head, and have not personally read at least 700 articles or chapters on the common infection of Babesia yourself, please be careful about the intensity of your opinions. Do you know what we call folks who are certain based on a guidebook by a government official, an alternative medicine guru, or the loudest medical society? We call it being a medical student or a first year intern in some area of healing. Deferring to an "expert" medical society guideline or a medical or herbal sage actually can still get you an approach that is outdated by 10 to 18 years. For example, today patients are told the best treatment for Babesia is Artemisinin or atovaquone (Mepron) two teaspoons a day with 500 mg a day of azithromycin (Zithromax). Do your really think other patients told the same thing scattered all over the earth got the best advice? Hardly! The options that the average health care practitioner will suggest in 2020 in terms of herbs, energy medicine options and synthetic medicines, were already known to the leaders in thought about Babesia treatment in 2010. It seems every one advertises themselves as being tick infection experts—neurologists, internists, rheumatologists, etc. This is similar to any MD regardless of training hanging out a shingle as an expert in liver transplants, HIV/AIDS medicine or thyroid cancer. This is what is happening all over; family doctors, neurologists and many others without a single book or paper on the topic of tick infections wade into the morass of the extremely complex tick gut, and toss the same Babesia treatment at everybody. Others go to an interesting conference by one group or another, and watch someone treat people for a week, and now they think they know the super-specialization of tick-borne infections that alter hundreds of body chemicals and all tissue types. Their attitudes are immensely blind and it is sad to have to see their errors many years later. Their suboptimal treatments slowly create decreased function in their patients, perhaps in years leading to disability and poverty. No wonder I have concerns. I see their failures as 95% of the patients I treat. Artemisinin with Mepron and Azithromycin was common in 1996 treatment approaches. Does it make sense to use the same outdated approach in 2013? While treatment options are poor, innovation in Babesia testing is completely lacking and the poor use of what there is available is sad. Why? For example, a great medical scientist thinks: let us check 1-2 Babesia species by IgG/M only. This approach ignores that there are several species of Babesia which infect humans with more species emerging every year. It also ignores the fact that the presence of a Bartonella co-infection may mask antibody testing to give false negatives for itself AND Babesia. Even common top laboratories have made it harder to get a positive by raising titers. The super complex gut of a tick is so filled with diversity that early studies showing mostly Lyme or Bb and a little of each of the "co-infections" were silly. Babesia kills more mammals like you than does Lyme. It should be common knowledge that Bartonella is more common than Lyme since Dr. Breitschwerdt, the genius with over 300papers in top journals, has educated the medical world on this topic years ago. So why does every infection society on earth have a 10-20 year old approach to Bartonella? It is because almost no one is doing clinical research fused with clinical care. Those who are retired gain new courage for fights and those who are working are seeing too many people to have time to read. If one was humble and dedicated enough, the use of indirect testing for tick infections would not sound like Chinese. As I have been observing for about twenty years, patients with tick and flea-borne infections confuse healers. This confusion harms patients, making past anthrax attacks look benign in contrast in terms of ongoing suffering and survival. One international Babesia species kills very special hamsters bred to survive serious infection, but most infectious disease and family doctors do not even test for it when its symptoms are present. Unfortunately they don't read our free, published symptom list based on years of study, until perhaps they almost kill a relative or friend, and then they might write down some small reference. Returning to my concern with self-treatment, poor information based on one type of healing: surgery, herbs, synthetics, nutraceuticals, exercise, energy medicine, etc. are not the best care. I see new treatment recommendations in protozoa medicine by herbalists which only help in a limited manner. In the past, these patients came to me to improve further. And yes, we still see MD/DO/NP AND PA recommendations of Artemisinin. Since many prescribers do not read our text on the use of herbals in the treatment of Babesia or even think about the ramifications of the treatment, I expect it will be another waste of 5-10 years before Artemisinin is no longer used as a Babesia killer. Another frightful error is that those rare healers who will prescribe Artesunate or Artemether (as Coartem) will only give their patients the dose the drug company has posted, which is usually too high a dose at first and later can be too low for efficacy. Dosing must be tailored to the individual, walking the narrow path between making the patient feel miserable and not killing enough organisms. Some prefer natural treatments to synthetic, so let us look at that issue. In 1972, Artemisinin was isolated using solvents such as diethylether.3 Some feel Artemisinin is not soluble in water, which some felt as early as 2004 made it insufficient to treat malaria.4-5 The benefits for those exposed to malaria show that patients do far better with clear combination medications which are not natural but synthetic. Therefore taking Artemisia annua if you have Babesia is likely a way to long term disability and death. The drug that is among the most powerful against both malaria and Babesia is artemether/lumefantrine(Coartem). In conclusion, we were previously opposed to the use of artemether alone due to reports of more serious side effects, but we have never seen trouble with Coartem. The starting dose for treatment of malaria is a shocking eight tablets for three days in a row, a dose no sober infection MD or herbalist would ever support. However we do not hear of major side effects when we start with a lower initial dose and slowly and steadily increase the dose. Unfortunately, the class of compounds called "artemisinins" includes Artemisinin and its more effective derivatives, Artemether used in the combination medicine Coartem and Artesunate; the semantics involved here can cause the casual reader to make a costly error. Artemether and Artesunate should never be equated with Artemisinin. When the synthetic derivatives of this fern, Artemisia annua, are used for Babesia, patients who have had tick-borne infections for years or even decades will see significant die off and the body may react to the resulting volume of debris. However, the most routinely missed issue is that if you have a collection of tick borne infections for over 10 years you will usually have a slow increase in the pro-inflammatory system and a slow decrease in the anti-inflammatory system. Fixing the skew in these two systems is possible, but not known routinely and certainly does not involve the 15-20 options in all the top selling inflammation books. Räth K, Taxis K, Walz GH, et al. (1 February 2004). "Pharmacokinetic study of artemisinin after oral intake of a traditional preparation of Artemisia annua L. (annual wormwood)". Am J Trop Med Hyg 70 (2): 128–32. PMID 14993622. Jansen FH (2006). "The herbal tea approach for artemesinin as a therapy for malaria?." Trans R Soc Trop Med Hyg 100 (3): 285–6. doi:10.1016/j.trstmh.2005.08.004. PMID 16274712.